Reset canvas size to 650 by 500. 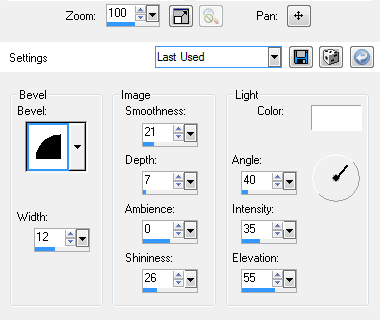 Resize tube 86 percent, copy & paste to the left side of your template. Add your drop shadow to Oval fill, Rectangle fill, Circle fill & tube. Open new raster layer and send to the bottom, flood fill with color of choice. I have used #8f2222 and apply your mask.